Bow Street has announced that they will be launching a number of new courses at their upcoming Open Day on Wednesday, April 11th. The Open Day will include a tour of the schools facilities, an introduction to the upcoming courses on offer at Bow Street, and an opportunity to pick the brains of Bow Street’s Creative Director Shimmy Marcus at a Q&A session on the day. Some of the courses on offer include the 6 month Part-Time Screen Acting Course designed to complement the much in demand Full Time Programme for Screen Acting. During a tour of the facilities, graduates past and present will also be on hand to answer any questions interested students may have based on their personal experiences of studying at Bow Street. Graduates of ‘The Programme’ have had great success in the last several years and ‘The Programme’ has gotten a reputation as a good casting resource for Casting Directors. Recent graduates Ann Skelly, Fionn Walton, Niamh Algar and Fionna Twamley Hewitt all received acting nominations at the IFTAs this year. Marcus also commented on the success of their Young Screen Actor Workshops and Summer Camps with past participants Jordanne Jones (‘Metal Heart’), Dafhyd Flynn (‘Michael Inside’), Rob McCormack (‘Professor and the Madman’), and Lara McDonnell (‘Artemis Fowl’) all going on to build exciting careers for themselves. 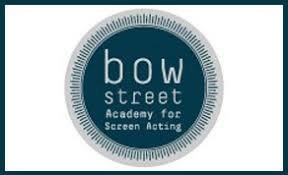 To reserve a place at the Bow Street Open Day, contact training@bowstreet.ie.